So today we’re dining out in Fulham. Fulham sits on the north bank of the River Thames, between Putney and Chelsea and is an elegant area of London teaming with stylish shops, bars and restaurants. Historically half of Fulham was originally occupied by market gardeners, so a lot of London’s produce came from here – nowadays plenty of it is being eaten. C’Alice is a new addition to the scene (it opened about two months ago), about halfway along the Munster Road, a short and pleasant meander from Parsons Green tube station. 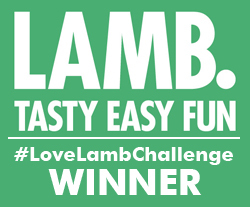 It’s run by an Italian husband and wife team who felt there was a lack of what they describe as Italian aperitvi places in the area, so they wanted to create a relaxed meeting place for drinks or dinner that locals could enjoy. Well, there’s plenty of enjoying going on at C’Alice. The menu abounds with Italian favourites and dishes with a difference, too. To start off we enjoyed two fishy starters. 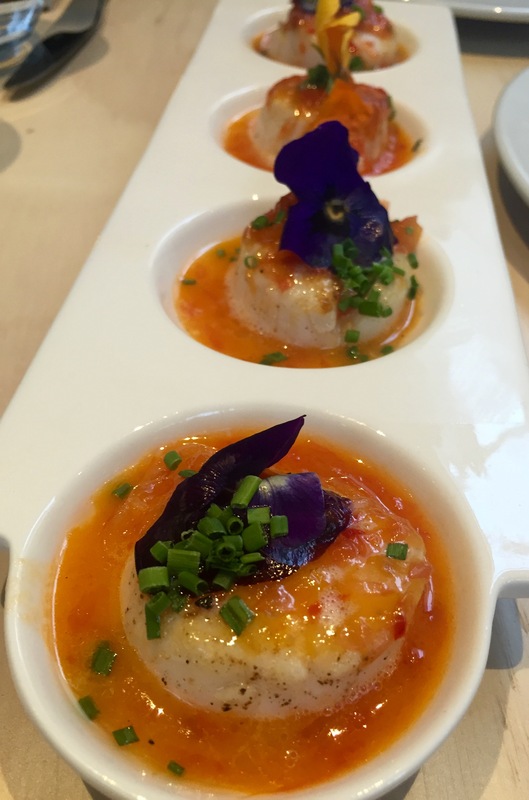 The scallops were panfried with grapefruit juice, an unusual combination. The sweetness of the scallops was a little overpowered by the tartness of the grapefruit but they did melt in the mouth. And don’t they look beautiful. 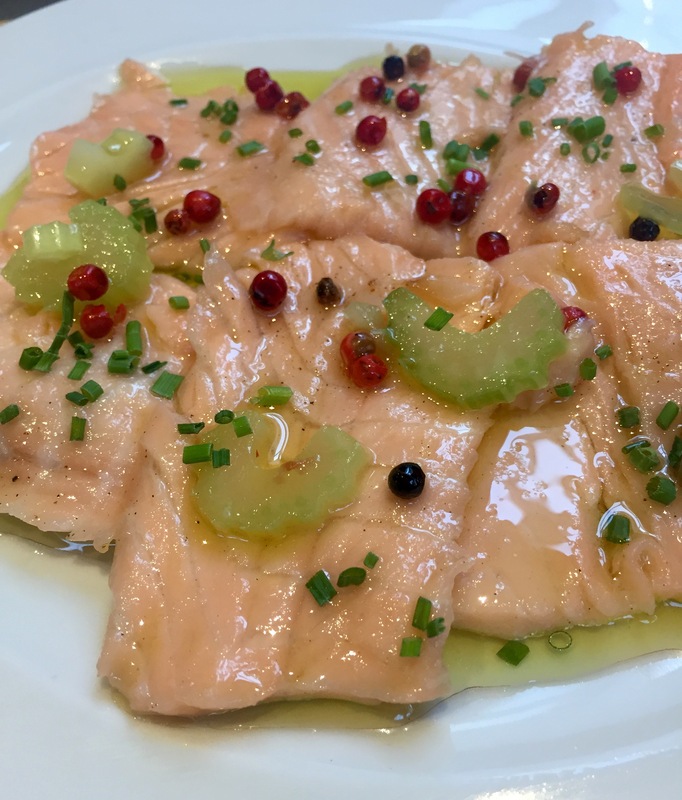 A dish of three-pepper marinated salmon in olive oil, lemon and celery was light and zesty, a lovely summer night starter. For mains there’s a good selection of pasta, risotto and salads as well as classic dishes like tagliata. 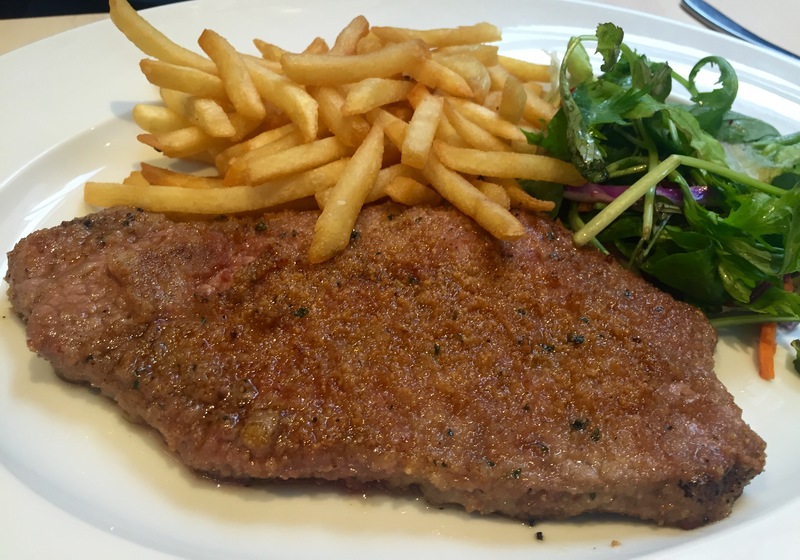 And this pan fried, breaded sirloin steak simply served with chips and salad. Must try breading sirloin at home – it was tasty and tender and gives a nice twist to a steak. And here’s a real Italian favourite – Saltimbocca. 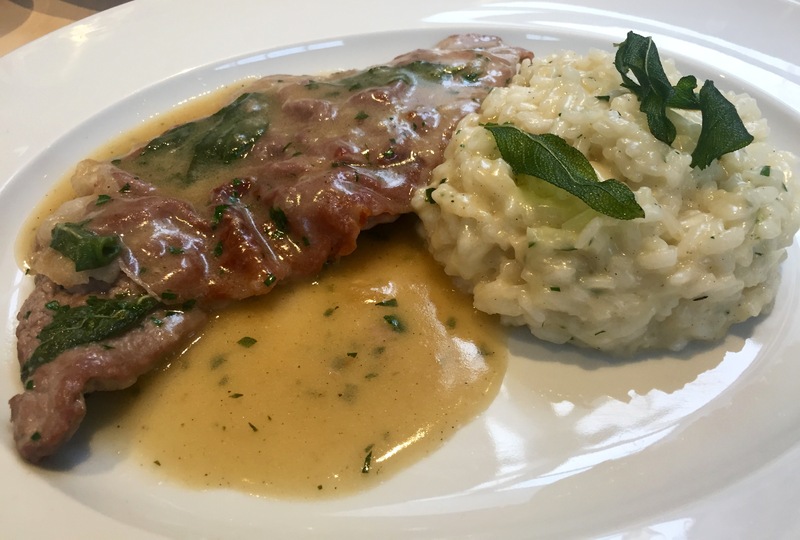 The pan fried veal steak is topped with Parma ham and served with Parmesan risotto. A truly indulgent and satisfying dish. And then of course we were on the Italian dessert trail and we went for two beauties. 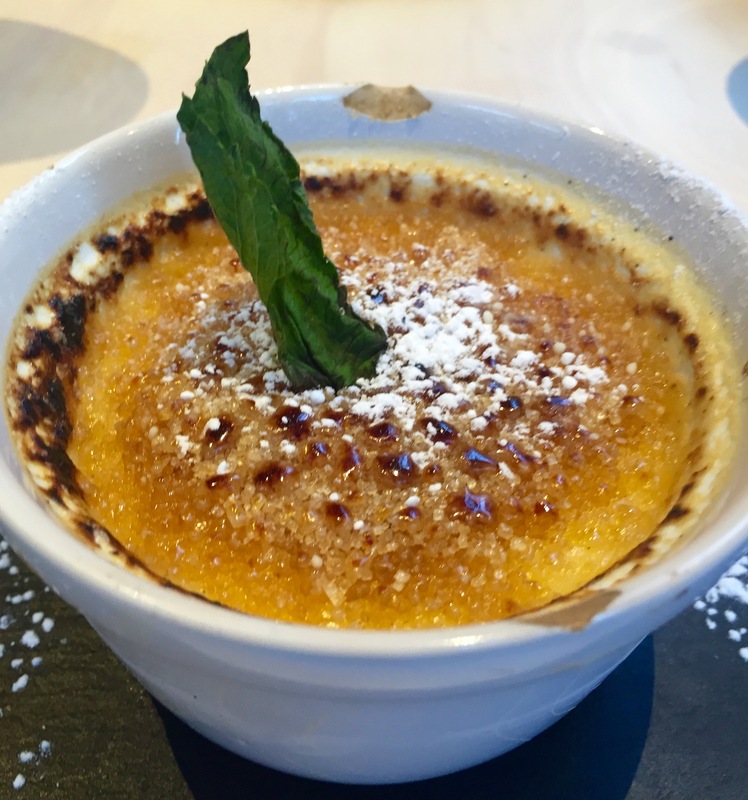 The creme brûlée was warm, creamy and light. The tiramisu was a little overloaded with cocoa powder but underneath had all the beautiful textures and flavours of this Italian staple. 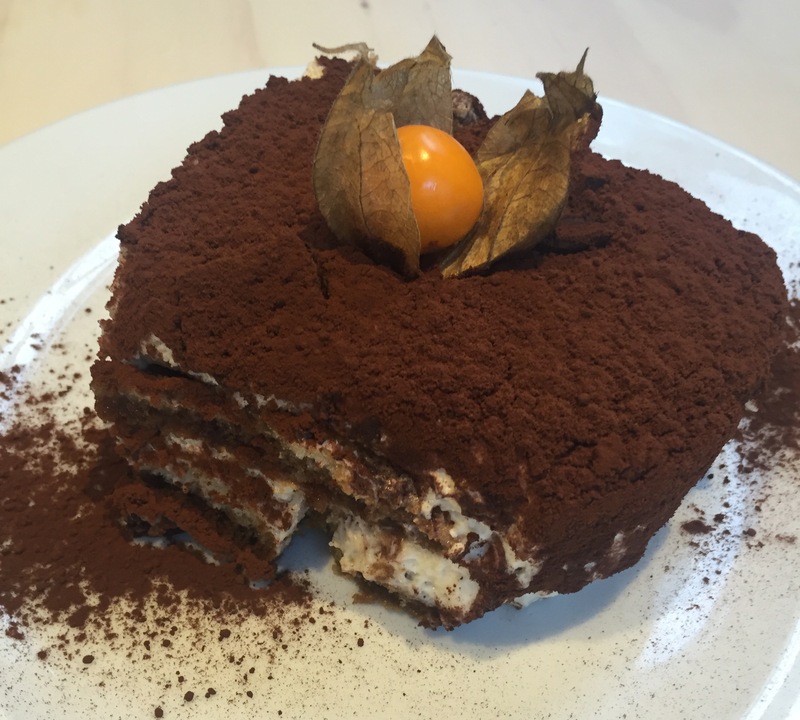 I seem to be tasting tiramisu all around London…nothing wrong with that. C’Alice serves good Italian cuisine in substantial portions. The service is friendly welcoming and the space is light and decorated in a relaxed, contemporary style. There’s plenty of wine on display – they sell over 130 different kinds from Italy – and lots of other liquor options as we discovered. 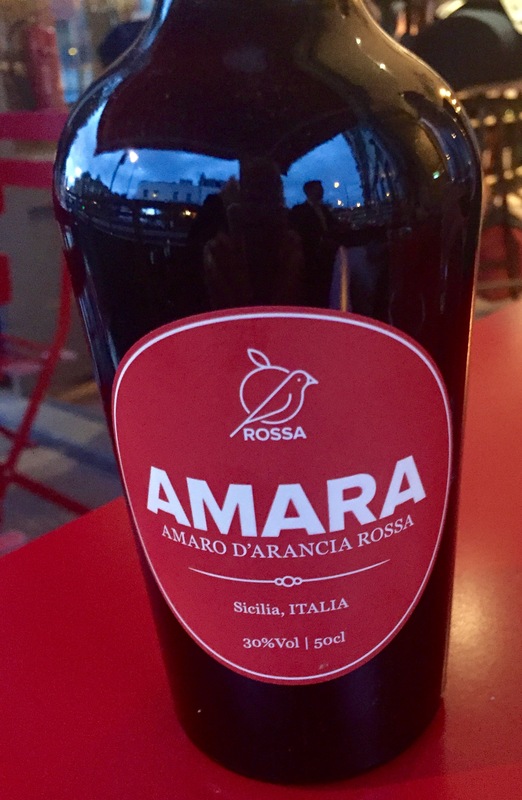 After dinner we settled in on the small terrace and sipped on a glass of their beautiful Amara – a lemon-based liqueur from Sicilly. And we chatted to some of the locals who were clearly happy with their new meeting spot. C’Alice’s strapline on their website and shopfront is Wine – Food – Talk. They’ve definitely got all that covered. Our three-course dinner cost £69.50 for two people, not including wine. There’s a wide range of Italian wine available, including by the glass. We had a bottle of Primitivo Itynera for £19. Starters begin from £6 and mains from £12 for pasta dishes. C’Alice is at 199 Munster Road, Fulham, SW6. Great Blog as usual Sandy. I liked the finishing touch of the gooseberry on top of the tiramisu. The risotto also looks simply scrumptious.